Port Douglas has had a bit of an identity crisis over the years. It began its life in the 1870s as a gold rush town. By the 1960s it had retreated to become a sleepy fishing village in the tropics. Then in the late 80s it exploded into a playground for the rich and famous. Now, 30 years later, it’s finally come of age and has emerged as a sophisticated holiday destination and popular coastal resort town. Whether your idea of Port Douglas holidays rests in the magnificent, mid-range or modest price range, there’s something to make even the most meticulous holidaymaker happy. In 2012, the fresh and funky lifestyle brand of QT Hotel arrived in Port Douglas, signalling a major facelift for the region. Maintaining a tropical vibe but bringing with a touch of the ‘Hamptons’, QT showcases a deluxe lagoon-style pool with an in-pool bar and plush lounges. It’s definitely the place to see and be seen. The resort also boasts a number of other trendy little touches including an old-school Ballyhooley steam train to take you from the hotel to the marina. If you’re not prepared to splash out quite so much, The Reef Marina Port Douglas is a fantastic option, particularly for foodies. 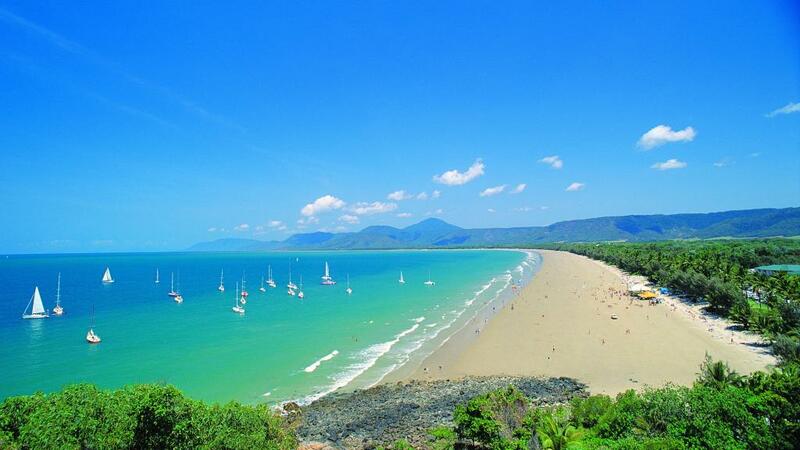 As this decadent destination proves, not all adventures in Port Douglas are aquatic. Indulge in some of the best food and wine in Far North Queensland with a wonderful waterfront dining experience. Some of the swank new spots to open on the marina include Barbados cocktail bar and Hemingway’s Brewery. When all you really want to do is get away from it all and leave the trappings and stresses of daily life behind, you can’t beat the peace, tranquillity and sheer beauty of the Daintree National Park. Green thumbs and nature lovers will delight in this World Heritage listed natural wonder that spans 1200 sqkm. Just 25 minutes north you’ll also discover the magnificent Mossman Gorge. No need to shell out big bucks for the experience of a lifetime, just pick one of the many spectacular walks for a wonderful way to spend your day.